Just because you don't yet have vacation plans as the first day of summer approaches doesn't mean you’re out of luck. Get in on a hot hotel deal with CyberSummer, a one-day only sale that begins at midnight EDT on the summer solstice – this Friday, June 21! Travelers will be able to find exclusive online deals, including four-diamond resort stays from $99/night, five-star hotels offering 50 percent savings, free nights, and more. Want examples? Here are a few, just to whet your vacation appetite. Sandpearl Resort, Clearwater: This grand four-diamond beachfront resort in Clearwater Beach on the west coast of Florida is offering $219 for a Gulf Front Room for bookings from Sunday to Wednesday, through the end of July. Jupiter Beach Resort & Spa, Jupiter: Also a four-diamond resort, Jupiter Beach is set along the Atlantic coastline of northern Palm Beach County. The resort was voted as a reader favorite in Condé Nast Traveler's 2011 Readers Choice Awards, and has priced rooms at $99/night (Sunday through Thursday nights) through September 30. 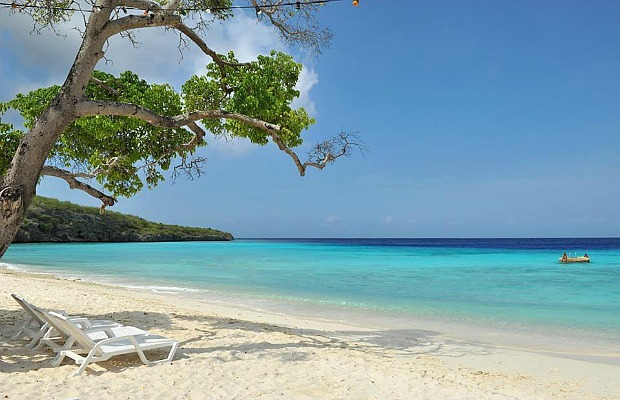 Santa Barbara Beach & Golf Resort, Curacao: Enjoy uninterrupted views of the water on three sides of Curacao's newest luxury four-diamond resort. Revel in the white sand beaches and swanky amenities, along with 50 percent off a Golf or Spa Getaway, which means you stay three nights starting at $119/night and get a free round of golf or a 60-minute massage! San Juan Marriott Resort & Stellaris Casino, Puerto Rico: This sweet four-diamond oceanside home base is set in a hot cosmopolitan neighborhood of San Juan. They're offering 20 percent off rooms, with starting rates at $143/night, through December 31. Casa Palopó, Guatemala: Grab a room at this five-star, seven-bedroom boutique hotel (or the two-bedroom villa) above Lake Atitlán, and with 35 percent off nightly rates through September 30, it's more affordable than ever. CasaMagna Cancun Marriott Resort, Mexico: Get a spot right on the Caribbean coastline in Cancun at this four-diamond resort with a deal of $145/night (minimum three-night stay), plus a $100 daily resort credit. Table Bay Hotel, South Africa: This five-star resort in Cape Town with views of the harbor, Table Mountain, and the Atlantic Ocean is part of an offer of $200 off a 10-day trip to Africa (including four nights at the resort). As with everything, it’s good to read the fine print: All the deals during CyberSummer are subject to blackout dates and are based on availability. 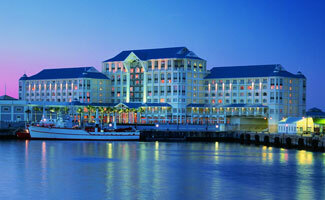 Additional restrictions and room category limitations may apply. The details and specifications are available at the time of booking, so there’s no mystery. So, mark your calendars, get ready, and don't miss out on these deals!